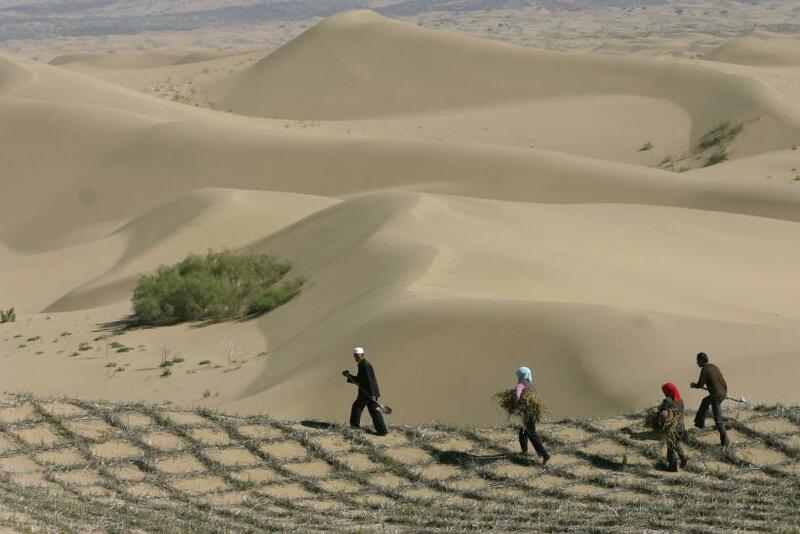 Desertification -- climate change-triggered degradation of land ecosystems -- might, in a decade, create 50 million refugees, the Economics of Land Degradation (ELD), a global initiative led by 30 different research groups, warned in a new study published Tuesday. The study, backed by the United Nations, also found that $6.3 trillion to $10.6 trillion worth of resources -- equivalent to up to 17 percent of the world’s GDP -- were lost annually due to land degradation. “Our lands are no longer able to keep up with the pressures placed on its limited resources. Increasing misuse and demands for its goods are resulting in rapidly intensifying desertification and land degradation globally -- an issue of growing importance for all people and at all scales,” the report, titled “The Value of Land,” said. Globally, 2.6 billion people depend directly on agriculture. According to the report, soil degradation -- exacerbated by deforestation and pollution -- drought and desertification affect approximately 52 percent of arable land. Over the next 25 years, this might reduce global food production by up to 12 percent, raising global food prices by as much as 30 percent. Desertification also threatens water availability and quality -- a phenomenon that is believed to have played a key role in pushing Syria toward a brutal, protracted civil war that has cost nearly 300,000 lives. According to a previous study, published in the Proceedings of the National Academy of Sciences, an unprecedented drought in Syria between 2007 and 2010 triggered an exodus of nearly 1.5 million farmers to cities in search of food and work -- a “contributing factor” that eventually led to the civil war. Additionally, desertification also jeopardizes global biodiversity. Some estimates suggest that our planet might currently be losing approximately 27,000 species every year, a number that is likely to escalate with increase in the rate of desertification. The report also highlighted the need for definitive action vis-à-vis climate change during the U.N.’s climate change conference in Paris (COP 21) later this year.